When it comes to storage what do you use? Cloud? Local? Or are you a person who is looking into getting security cameras installed and you have no idea what either of those are. Well below is a little help for you to know what to expect when getting security cameras and which type of storage is right for you. Cloud Storage is a third party storage in which requires internet access to see your data. You can access this data at any time, however, if you have any problems you will have to contact the company during business hours to resolve the issues. Cloud storage is backed up in a remote area so signals can be easily transmitted for your use. You are charged for storage like this when it comes to involving a third party. 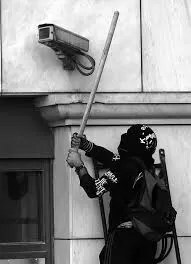 However not all security camera types offer cloud storage. Local storage is exactly in its name. It will involve the use of a microSD or SD card to keep your information stored at your fingertips. With this option when your SD card is full, you have one of two options. The first option is to let your footage be stored over old footage, the second option is to have your footage saved onto a new card. In this process, you will not have to pay for storage like the cloud but you will have to buy new SD cards once the other gets full every time. To determine which one is right for you we have to look at the pros and cons of each. The pro’s for cloud storage is that if someone were to take your camera, which mind you would hold an SD card, they cannot take the information with it. All the information is backed up with your third party and you can actually figure out who stole it in most cases. The Cons of Cloud is the cost. Some places will offer up to a few days with no cost at all but anything more will cost you money. 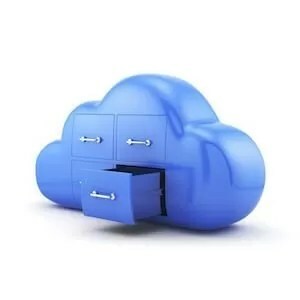 Many people who are tech savvy use cloud storage over local storage simply because it is easier for them because they are on the internet more and it is more available to them with more ease. The pros for local storage would be no fee, just an SD card and you’re set to go. However, the cons are if someone walks away with your SD card or camera, there is no footage because it is all on that card. All of your information that has been recorded in the past and up to that point is on that SD card which you may never see again. Many people of the older generation, however, prefer this type of storage because they are not as tech savvy as the younger generation and it is easier for them to be more hands on with having the technology at their disposal. Why do People Prefer Cloud Storage? People who use cloud storage like the ability to access their information at any time of day or night. Unlike Local storage, people who use cloud do not have to physically remove an SD card to view their footage or replace it when a card is full. They like not having to insert and remove SD cards. Life is more simple for people who use the cloud. Cloud storage is flexible and they know that their footage is safe if something were to happen to their systems. They will just have to pay a little more than with an SD card. Not only do you not have to deal with an SD card, you can also view your footage from any device as long as there is a wireless internet hookup. As long as you have internet or data usage you can view your footage from an Ipad, phone, or computer. This makes it super easy to see what is going on at all times, even when you are not there! Why Do People Prefer Local Storage? People prefer local storage to have all their footage right there in their hands without a third party. People who prefer this method will also like to have a cheaper option of not having to pay for cloud storage. However, people who use SD cards will have to replace and pay for multiple SD cards so that their footage does not run onto other footage. Many times these people are also the older generation as well, but not always. People of the older generation prefer this method because it is what they are used to. 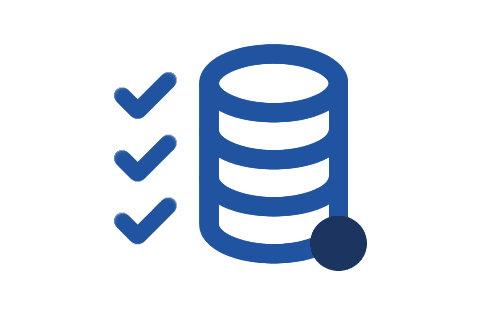 Local storage is easier for some people because they like to feel in control of their data, they do not want anyone else handling it, and they feel more comfortable when it is in their hands. They like taking the SD card out and having a physical copy of evidence if something were to happen. Whereas, cloud storage does not have a physical copy just online copies unless something is needed further. When choosing how you want to back up your security files, chose which would be the best for you or your company. If you are a small locally owned company with not many issues and need money than local storage will probably be alright. If you are a company who is very successful and may have a potential issue if any of your information is leaked, then we would recommend the cloud storage so you can access your information at anytime anywhere. We want your company safe and backed up, whether that be with cloud or local storage one or the other should be chosen. If you like physical evidence in your hands’ local storage is for you, if you like on the go can view at any moment cloud is for you. Really the decision is how tech savvy you are and what you would like. When it comes to storage what do you use? Cloud? Local? Or are you a person who is looking into getting security cameras installed and you have no idea what either of those are.